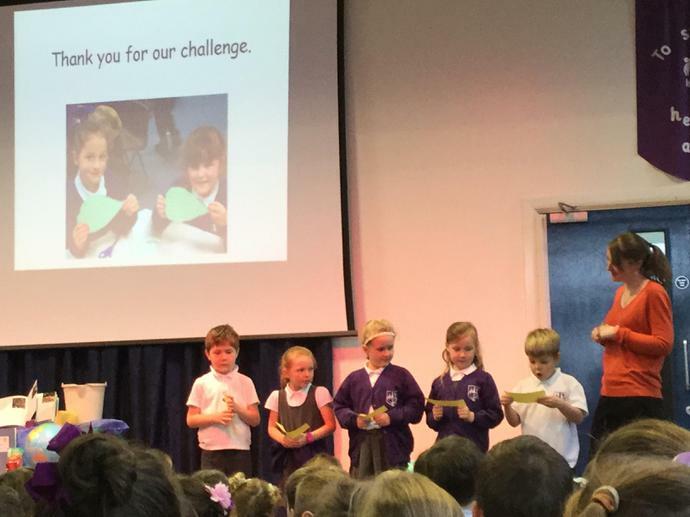 Year 1 taught people new things by helping the children in Reception. 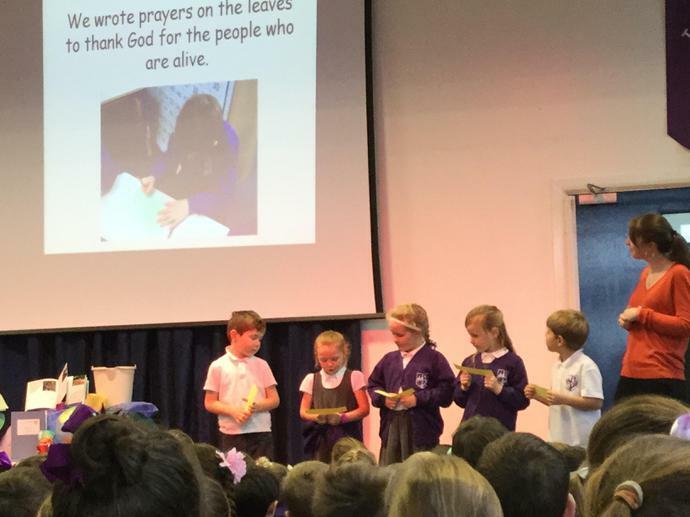 Year 2 prayed for the living with a prayer tree. 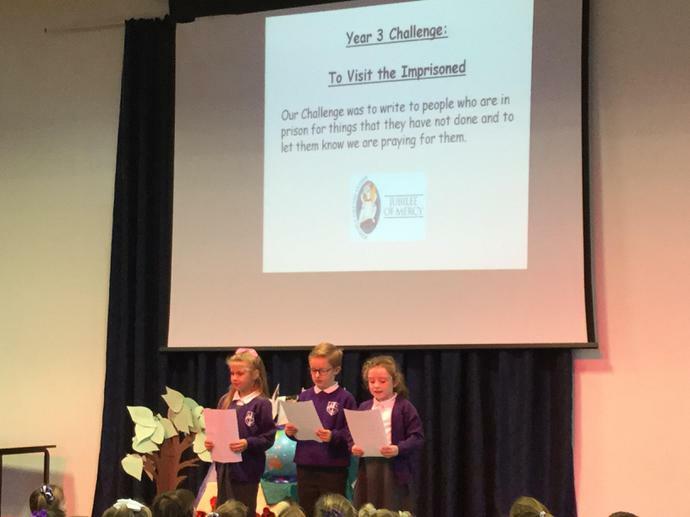 Year 3 sent letters to prisoners of conscience. 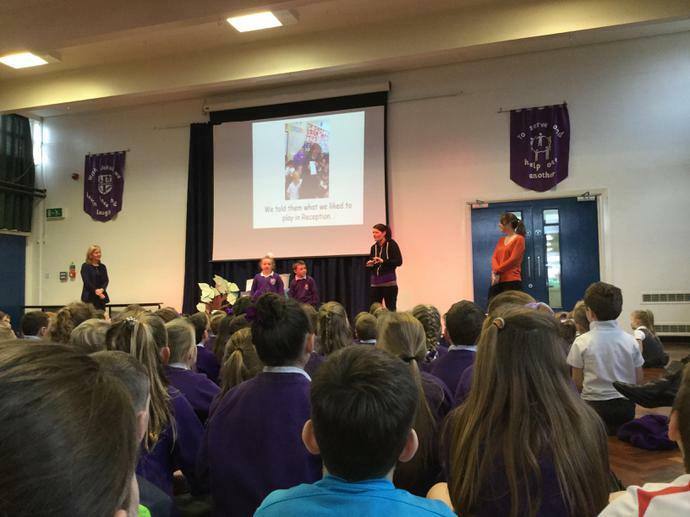 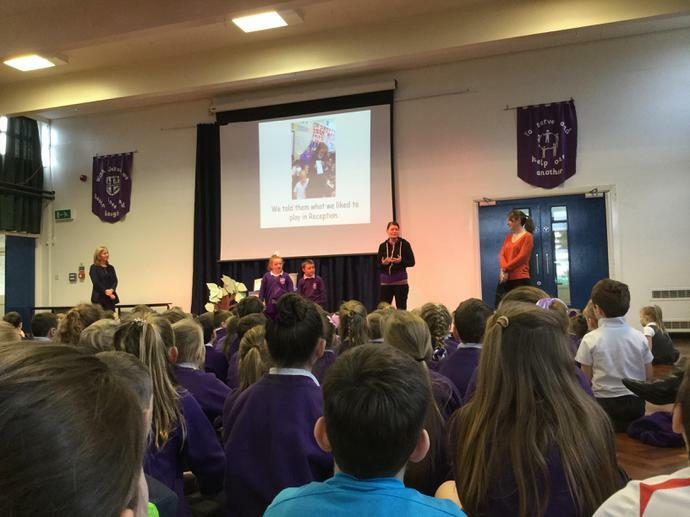 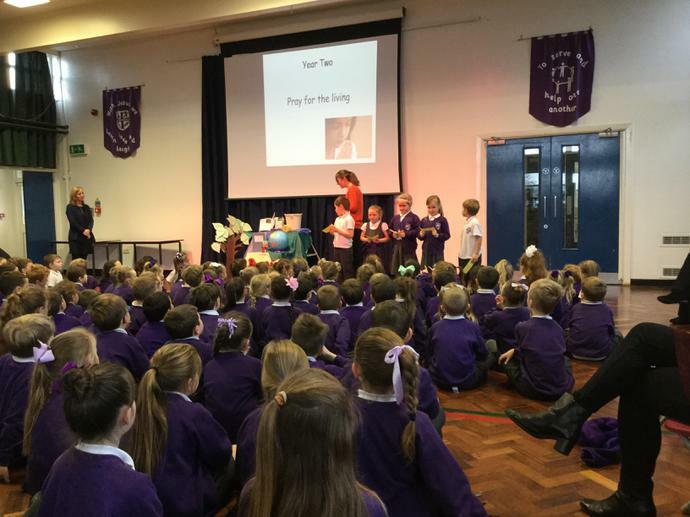 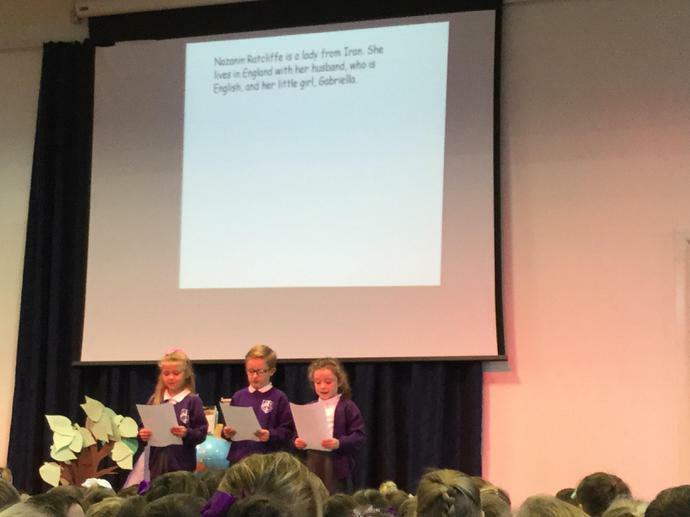 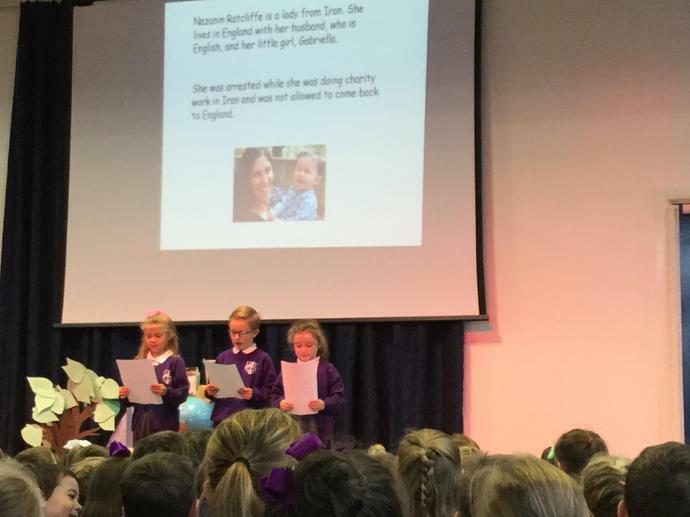 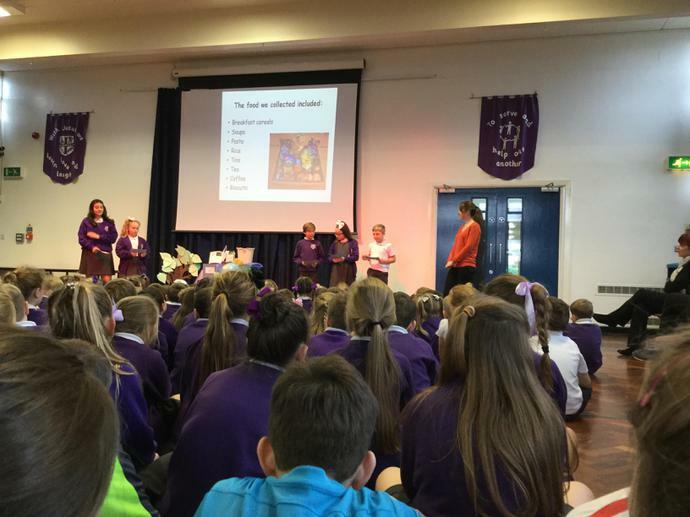 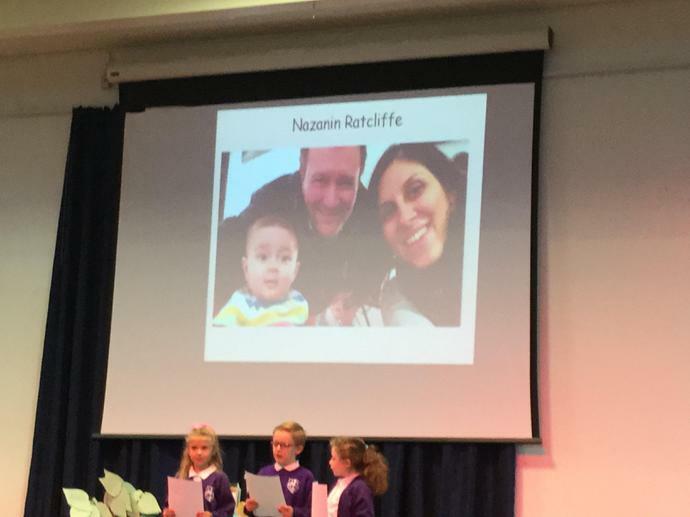 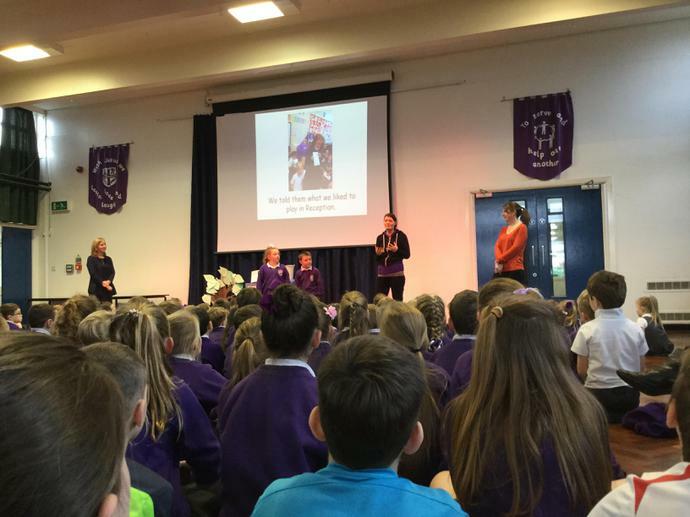 Year 4 prayed for the dead by leading an assembly for Remembrance Day. 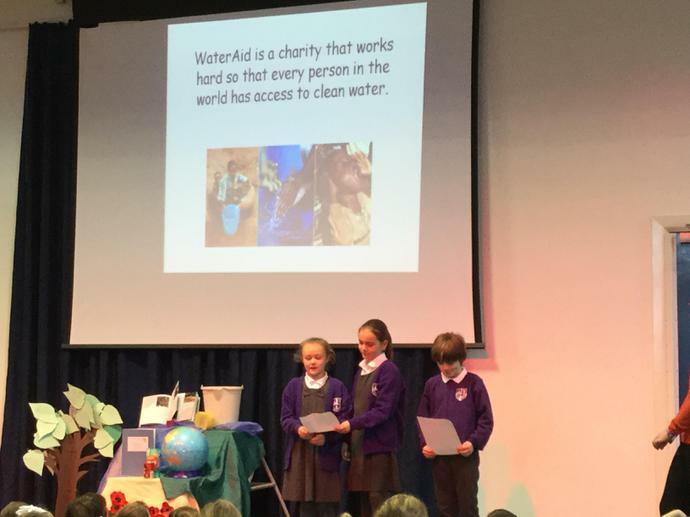 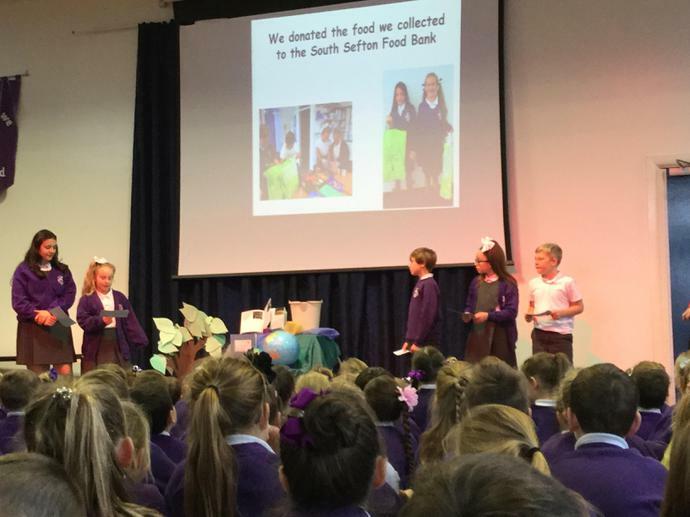 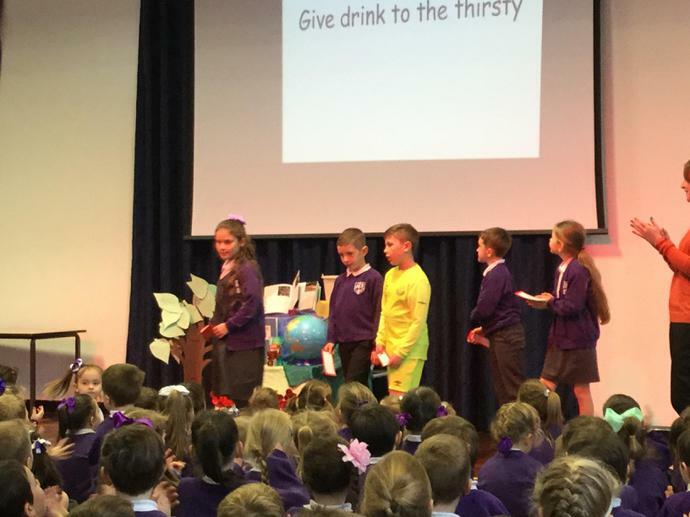 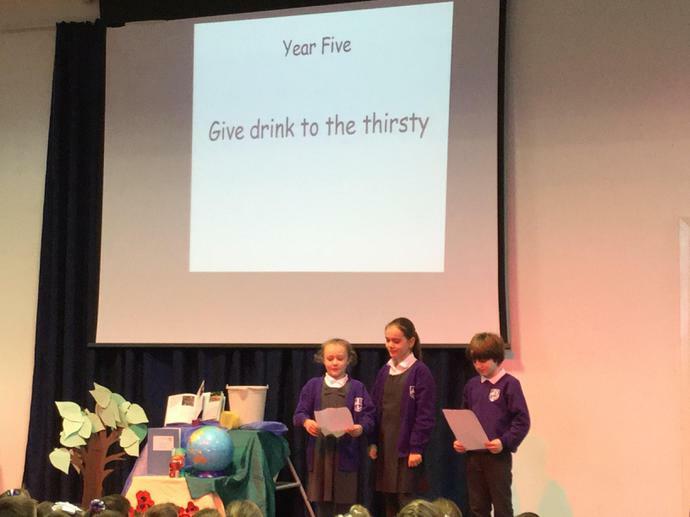 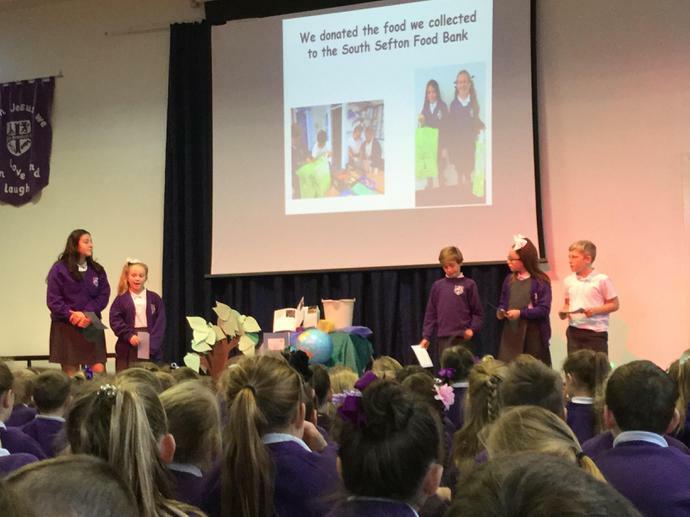 Year 5 gave water to the thirsty by raising £60 for Water Aid by having a car wash.
Year 6 gave food to the hungry by making up hampers for the food bank. 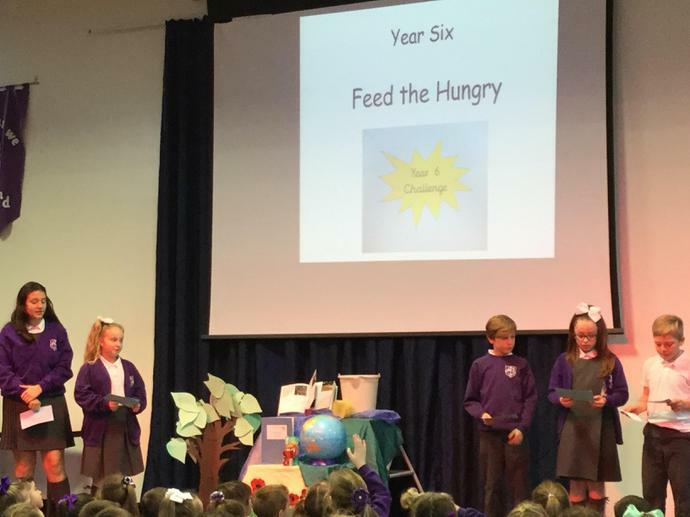 Thanks to all the staff for helping with the children’s tasks and particularly to Mrs Chadwick and Miss Coxon for organising the project.